« Sample Suds on a Portland Craft Brewery Tour! 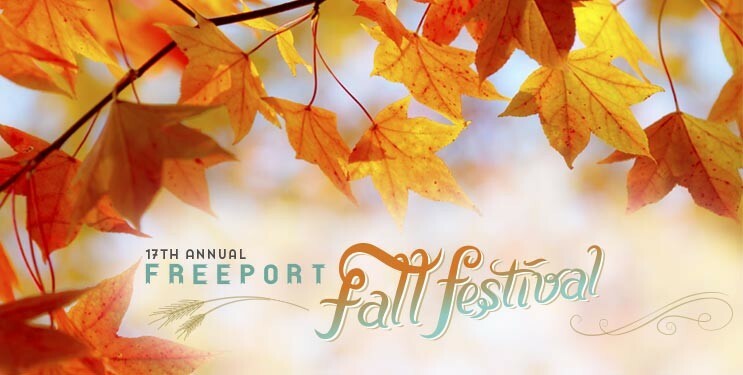 Attend the Freeport Fall Festival 2015! More evidence that autumn in all it’s multi-hued glory is just around the corner: Freeport, ME is busy gearing up for the 17th Annual Freeport Fall Festival, scheduled for the weekend of October 3rd and 4th, 2015. The Freeport Fall Festival has become a regional tradition that attracts thousands of people to Freeport for a weekend of art, music, food, drink, and – natch – fun! Hosted on L.L.Bean’s Freeport campus, the 17th annual return of the Freeport Fall Festival promises even more reasons to attend than before with over 100 artists exhibiting their works, live musical performances throughout the weekend, a delicious array of food and drink from regional producers, Freeport Community Services’ popular annual Chowdah Challenge, and hundreds of local stores and boutiques within just a few blocks of the festivities. Did I mention attending the festival is free? Another big attraction for the weekend is the Freeport Community Services’ popular annual Chowdah Challenge. Often referred to as “the most delicious event of the year,” the Chowdah Challenge involves local restaurants serving up their best clam and seafood chowders for the Freeport Fall Festival crowds to sample and vote for Freeport, Maine’s best. Brewster House Bed & Breakfast is a proud member of the Freeport community, offering you impeccable, friendly lodging on the picturesque Maine coast. Come take advantage of our hospitality, location, and top-tier amenities during your Maine coast getaway. Your room at Brewster House Bed & Breakfast is waiting for you.